5 August, 2018 by Jason GoroncyLeave a Comment on Does Australia want its own story? ‘[F]reedom exists in the space of memory, and only by walking back into the shadows is it possible for us all to finally be free’. What an insightful, gracious, intelligent, and profoundly-hopeful speech Richard Flanagan gave at this year’s Garma festival. A must-read for all Aussies. Every now and then an essay is written that will probably be read for decades, an essay that risks the invitation to change the way whitefellas view the world and their place in it. 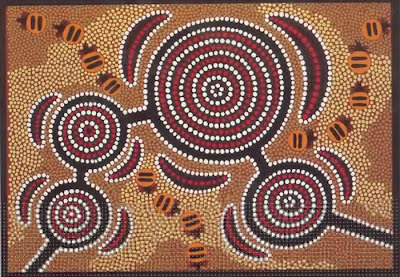 This piece by Galarrwuy Yunupingu may be one of those. This action was both stunning and brilliant, and it lifted people’s eyes from the mire of disorder, disagreement and bitter division. In that unprecedented throwing of the decorated log coffin, that unexpected shift into a new context, a new network of cultural meaning was created – a new future was believed in. The action generated the possibility of a future different from the past. Bitter division was healed by way of bold, confident leadership. I live in the total knowledge that politics is a business that runs hot and cold every time a new office holder comes to Canberra (and Darwin), and they have to find some answers to what they can do in their time. Three years is such a short time, and politicians are under pressure to do something instead of biting their fingernails and having no solutions. Aboriginal people need to understand that the government of the day will always seek to justify itself, protect itself and get its reputation straight. Its members will worry about their jobs and about saying things that will keep them in the good books with their electors, who are mainly white people. And those people will often have little good to say about Aboriginal people; when the voters do talk to their politicians they may want something from us or have some problem with us, because we are not like them. And this adds to the worry of politicians who are most of all concerned about whether they will be re-elected. That’s their first commitment. That’s the real situation. So the only way through it is for a politician to risk prestige with the voters to make the achievement, and to believe that an outcome can be good for all concerned. Kevin Rudd, like prime ministers before and after him, acknowledged my leadership and made promises to my people. Tony Abbott made the same promises and came and lived on my land at Gulkula, and from there he ran the government for five or six days. Both were decent and respectful men. All the prime ministers I have known have been friendly to me, but I mark them all hard. None of them has done what I asked, or delivered what they promised. I asked each one to be truthful and to honestly recognise the truth of history, and to reconcile that truth in a way that finds unity in the future. But they are who they are and they were not able or not permitted to complete their task. For a prime minister is beholden to his party and to the parliament, which in turn is held by the Australian people. And the Australian people seem to disapprove of my simple truths, or the idea of proper reconciliation. The Australian people do not wish to recognise me for who I am – with all that this brings – and it is the Australian people whom the politicians fear. The Australian people know that their success is built on the taking of the land, in making the country their own, which they did at the expense of so many languages and ceremonies and songlines – and people – now destroyed. They worry about what has been done for them and on their behalf, and they know that reconciliation requires much more than just words. So the task remains: to reconcile with the truth, to find the unity and achieve the settlement. A prime minister must lead it and complete it. The leader of the nation should accept his or her commission and simply say what he or she thinks is right, and put that forward for the nation to correct, or to accept, or to reject. Let us have an honest answer from the Australian people to an honest question. As a man reaches the final points in his journey it is then for others to do the singing. Others must take the lead, acknowledge him and guide him. If there is unfinished business it is no longer for that man to carry that business; others who have taken responsibility and who have taken leadership must then bear the burden of creation. The future is theirs, to be taken by them, crafted along the terms set by law as given to us by those that have come before. And failure will be theirs also, to own and bear witness to if they fail. I have lived my song cycle and I have done what I can to translate the concepts of the Yolngu world into the reality of my life. I have endured much change and seen many different faces – I have watched both Aboriginal and non-Aboriginal leaders move in and out. And of course I have mixed feelings when I reflect on my life’s work. I feel a deep sadness at times, yet I know that I have done much that is useful. I know that I have secured my family’s birthright – we will not drift off with the tide; we will stand and endure, and our names will pass down through the decades and the centuries. Yunupingu means “the rock that stands against time”, and so be it. But I think always of what has been lost around me against what endures. It is a form of torture for a Yolngu person to see the loss of our life: every word, every note, every slip in the song is pain; every patch of land taken; every time an outsider takes control from Yolngu; every time we compromise; and every time we lose something or someone. I tell my family to stand strong and endure, stay within the guidelines of our law, stay with the song cycles and be armed with this knowledge so as to secure for our people our lands, our way of life and our place in the world. These are just some snippets of what really is a remarkable essay, the entirety of which you can read here. There’s challenge here too, it seems to me, for those of us charged with the responsibility of rightly dividing the word of truth, especially for those who have lost our nerve to boldly address the powers or to do the demanding work it takes to simply tell the truth rather than spout the party line. Pilger’s latest film (currently in production) is called Utopia and is due out at the end of the year. I look forward to seeing it. Anglican theologian Peter Adam thinks that unless Australia’s indigenous people give us belated permission, everybody whose forebears came after 1788 should decamp and return the land to its first inhabitants. In a public lecture on Monday, he said that if the non-indigenous stayed they should have to provide whatever recompense the indigenous thought appropriate for the genocide and theft they have suffered. Impossible! Absurd! Surely this is mere posturing? Neil Mitchell on radio station 3AW certainly thought so. He gave a 60-second tirade against Adam, apparently based on just the short Age report, saying it was the reason why no one should ever step inside a church again. And he thought Adam was melodramatic. But there’s method in Adam’s madness. First, the Reverend Dr Peter Adam, principal of Ridley College, is a sober and sensible man, a conservative evangelical Christian, who thinks carefully about what he says. He knows very well how impractical and impossible it is for 21 million people to uproot themselves. Probably Aborigines would not want us to – it’s hardly realistic for them to revert to a pre-colonial hunter-gatherer life. And how far back do you go? For the English would it be ”go home Normans”? Or Vikings? Or Saxons? And who qualifies as an Aborigine? A Maori leader in New Zealand once said being Maori was a state of mind. ”Beethoven was a Maori,” she said. If being Aboriginal was a state of mind that brought instant reward, large numbers of Australians might self-identify. But Adam wants to make two points. First is the gravity of what the indigenous people suffered. However impractical, mass emigration would be the moral response because ”what was done was so vile, so immense, so universal, so pervasive, so destructive, so devastating and so irreparable”. The Christian concepts of repentance and restitution or recompense are profoundly radical. Adam’s idea is in keeping with the biblical concepts, even if these are honoured more in the breach than the observance now that Christianity is so institutionalised. So it’s not merely rhetorical, however impractical. After all, the colonial powers returned India, Africa and Indonesia to their inhabitants. Nor are the churches exempt: their prosperity, he charged, ”has come from the proceeds of crime”. He wants to rekindle the debate, move it beyond the relatively restricted arguments about apologies and native title. Of course, the broader Australian community has a vested interest in averting our eyes and wringing our hands over Aboriginal suffering. After all, we mean well but it’s so intractable. Adam’s point is, that won’t do – we must go much deeper and it starts with the indigenous telling us what they need. We need fresh eyes and an honest appreciation before we can grasp the gravity and really make amends. And if Adam’s words are confrontational, that is thoroughly consonant with the ancient Hebrew device of hyperbole, found throughout the Bible. For example, when Jesus said ”And if thy right eye offend thee, pluck it out, and cast it from thee”, what he meant was take the notion of sin seriously; it matters what you do. And that, surely, is Adam’s point: it matters what we do. It matters to indigenous Australians, it matters to the rest of us, and – for the religious among us – it matters to God. All non-Aboriginal Australians should be prepared to leave the country if the indigenous people want that, making restitution for the vile sin of genocide, an Anglican leader suggested last night. If they stayed, they would have to provide whatever recompense indigenous peoples thought appropriate, the Reverend Peter Adam told a Sydney audience. ”It would in fact be possible, even if very difficult and complicated, for Europeans and others to leave Australia. I am not sure where we would go, but that would be our problem,” he said. Dr Adam, principal of Ridley College – the main Anglican theological college in Victoria – was giving the NSW Baptist Union’s annual John Saunders Lecture. Dr Adam said Christian teaching required either restitution – returning what was stolen, the land – or recompense. If those who arrived after 1788 did not leave, they would need to ask each of the indigenous peoples what kind of recompense would be appropriate. This would be complicated and extensive but must be done or the genocide would be trivialised. Dr Adam acknowledged that some people had done their best to remedy wrongs, including some government actions, but something ”more drastic” was required. He called for a co-ordinated recompense by churches that included supporting indigenous Christian ministry and training. Unfortunately – and shamefully – not all get it; and some remain skeptical about the whole affair. But what was said – and done in the saying – was and is momentously important and ought not be either trivialised or mocked. As Phillip Adams recently reminded us, ‘Sorry and reconciliation aren’t dirty words’. Indeed, they are the stuff of the reign of grace, of holy love, of God. Sure, there’s lots still to say, and to do, but this was a really great day. Thank you Mr Rudd. ‘I move that today we honour the Indigenous peoples of this land, the oldest continuing cultures in human history. We reflect on their past mistreatment. We reflect in particular on the mistreatment of those who were Stolen Generations—this blemished chapter in our nation’s history. A future where we embrace the possibility of new solutions to enduring problems where old approaches have failed. A future based on mutual respect, mutual resolve and mutual responsibility. A future where all Australians, whatever their origins, are truly equal partners, with equal opportunities and with an equal stake in shaping the next chapter in the history of this great country, Australia. Last year I made a commitment to the Australian people that if we formed the next government of the Commonwealth we would in parliament say sorry to the stolen generations. Today I honour that commitment. I said we would do so early in the life of the new parliament. Again, today I honour that commitment by doing so at the commencement of this the 42nd parliament of the Commonwealth. Because the time has come, well and truly come, for all peoples of our great country, for all citizens of our great Commonwealth, for all Australians—those who are Indigenous and those who are not—to come together to reconcile and together build a new future for our nation. Some have asked, “Why apologise?” Let me begin to answer by telling the parliament just a little of one person’s story—an elegant, eloquent and wonderful woman in her 80s, full of life, full of funny stories, despite what has happened in her life’s journey, a woman who has travelled a long way to be with us today, a member of the stolen generation who shared some of her story with me when I called around to see her just a few days ago. Nanna Nungala Fejo, as she prefers to be called, was born in the late 1920s. She remembers her earliest childhood days living with her family and her community in a bush camp just outside Tennant Creek. She remembers the love and the warmth and the kinship of those days long ago, including traditional dancing around the camp fire at night. She loved the dancing. She remembers once getting into strife when, as a four-year-old girl, she insisted on dancing with the male tribal elders rather than just sitting and watching the men, as the girls were supposed to do. But then, sometime around 1932, when she was about four, she remembers the coming of the welfare men. Her family had feared that day and had dug holes in the creek bank where the children could run and hide. What they had not expected was that the white welfare men did not come alone. They brought a truck, two white men and an Aboriginal stockman on horseback cracking his stockwhip. The kids were found; they ran for their mothers, screaming, but they could not get away. They were herded and piled onto the back of the truck. Tears flowing, her mum tried clinging to the sides of the truck as her children were taken away to the Bungalow in Alice, all in the name of protection. A few years later, government policy changed. Now the children would be handed over to the missions to be cared for by the churches. But which church would care for them? The kids were simply told to line up in three lines. Nanna Fejo and her sister stood in the middle line, her older brother and cousin on her left. Those on the left were told that they had become Catholics, those in the middle Methodists and those on the right Church of England. That is how the complex questions of post-reformation theology were resolved in the Australian outback in the 1930s. It was as crude as that. She and her sister were sent to a Methodist mission on Goulburn Island and then Croker Island. Her Catholic brother was sent to work at a cattle station and her cousin to a Catholic mission. Nanna Fejo’s family had been broken up for a second time. She stayed at the mission until after the war, when she was allowed to leave for a prearranged job as a domestic in Darwin. She was 16. Nanna Fejo never saw her mum again. After she left the mission, her brother let her know that her mum had died years before, a broken woman fretting for the children that had literally been ripped away from her. I asked Nanna Fejo what she would have me say today about her story. She thought for a few moments then said that what I should say today was that all mothers are important. And she added: ‘Families—keeping them together is very important. It’s a good thing that you are surrounded by love and that love is passed down the generations. That’s what gives you happiness.’ As I left, later on, Nanna Fejo took one of my staff aside, wanting to make sure that I was not too hard on the Aboriginal stockman who had hunted those kids down all those years ago. The stockman had found her again decades later, this time himself to say, ‘Sorry.’ And remarkably, extraordinarily, she had forgiven him. Nanna Fejo’s is just one story. There are thousands, tens of thousands of them: stories of forced separation of Aboriginal and Torres Strait Islander children from their mums and dads over the better part of a century. Some of these stories are graphically told in Bringing them home, the report commissioned in 1995 by Prime Minister Keating and received in 1997 by Prime Minister Howard. These stories cry out to be heard; they cry out for an apology. Instead, from the nation’s parliament there has been a stony, stubborn and deafening silence for more than a decade; a view that somehow we, the parliament, should suspend our most basic instincts of what is right and what is wrong; a view that, instead, we should look for any pretext to push this great wrong to one side, to leave it languishing with the historians, the academics and the cultural warriors, as if the stolen generations are little more than an interesting sociological phenomenon. But should there still be doubts as to why we must now act, let the parliament reflect for a moment on the following facts: that, between 1910 and 1970, between 10 and 30 per cent of Indigenous children were forcibly taken from their mothers and fathers; that, as a result, up to 50,000 children were forcibly taken from their families; that this was the product of the deliberate, calculated policies of the state as reflected in the explicit powers given to them under statute; that this policy was taken to such extremes by some in administrative authority that the forced extractions of children of so-called ‘mixed lineage’ were seen as part of a broader policy of dealing with ‘the problem of the Aboriginal population’. One of the most notorious examples of this approach was from the Northern Territory Protector of Natives, who stated: “Generally by the fifth and invariably by the sixth generation, all native characteristics of the Australian aborigine are eradicated. These are uncomfortable things to be brought out into the light. They are not pleasant. They are profoundly disturbing. But we must acknowledge these facts if we are to deal once and for all with the argument that the policy of generic forced separation was somehow well motivated, justified by its historical context and, as a result, unworthy of any apology today. Then we come to the argument of intergenerational responsibility, also used by some to argue against giving an apology today. But let us remember the fact that the forced removal of Aboriginal children was happening as late as the early 1970s. The 1970s is not exactly a point in remote antiquity. There are still serving members of this parliament who were first elected to this place in the early 1970s. It is well within the adult memory span of many of us. The uncomfortable truth for us all is that the parliaments of the nation, individually and collectively, enacted statutes and delegated authority under those statutes that made the forced removal of children on racial grounds fully lawful. There is a further reason for an apology as well: it is that reconciliation is in fact an expression of a core value of our nation—and that value is a fair go for all. There is a deep and abiding belief in the Australian community that, for the stolen generations, there was no fair go at all. There is a pretty basic Aussie belief that says that it is time to put right this most outrageous of wrongs. It is for these reasons, quite apart from concerns of fundamental human decency, that the governments and parliaments of this nation must make this apology—because, put simply, the laws that our parliaments enacted made the stolen generations possible. We, the parliaments of the nation, are ultimately responsible, not those who gave effect to our laws. And the problem lay with the laws themselves. As has been said of settler societies elsewhere, we are the bearers of many blessings from our ancestors; therefore we must also be the bearer of their burdens as well. Therefore, for our nation, the course of action is clear: that is, to deal now with what has become one of the darkest chapters in Australia’s history. In doing so, we are doing more than contending with the facts, the evidence and the often rancorous public debate. In doing so, we are also wrestling with our own soul. This is not, as some would argue, a black-armband view of history; it is just the truth: the cold, confronting, uncomfortable truth—facing it, dealing with it, moving on from it. Until we fully confront that truth, there will always be a shadow hanging over us and our future as a fully united and fully reconciled people. It is time to reconcile. It is time to recognise the injustices of the past. It is time to say sorry. It is time to move forward together. To the stolen generations, I say the following: as Prime Minister of Australia, I am sorry. On behalf of the government of Australia, I am sorry. On behalf of the parliament of Australia, I am sorry. I offer you this apology without qualification. We apologise for the hurt, the pain and suffering that we, the parliament, have caused you by the laws that previous parliaments have enacted. We apologise for the indignity, the degradation and the humiliation these laws embodied. We offer this apology to the mothers, the fathers, the brothers, the sisters, the families and the communities whose lives were ripped apart by the actions of successive governments under successive parliaments. In making this apology, I would also like to speak personally to the members of the stolen generations and their families: to those here today, so many of you; to those listening across the nation—from Yuendumu, in the central west of the Northern Territory, to Yabara, in North Queensland, and to Pitjantjatjara in South Australia. I know that, in offering this apology on behalf of the government and the parliament, there is nothing I can say today that can take away the pain you have suffered personally. Whatever words I speak today, I cannot undo that. Words alone are not that powerful; grief is a very personal thing. I ask those non-indigenous Australians listening today who may not fully understand why what we are doing is so important to imagine for a moment that this had happened to you. I say to honourable members here present: imagine if this had happened to us. Imagine the crippling effect. Imagine how hard it would be to forgive. My proposal is this: if the apology we extend today is accepted in the spirit of reconciliation, in which it is offered, we can today resolve together that there be a new beginning for Australia. And it is to such a new beginning that I believe the nation is now calling us. Australians are a passionate lot. We are also a very practical lot. For us, symbolism is important but, unless the great symbolism of reconciliation is accompanied by an even greater substance, it is little more than a clanging gong. It is not sentiment that makes history; it is our actions that make history. Today’s apology, however inadequate, is aimed at righting past wrongs. It is also aimed at building a bridge between Indigenous and non-Indigenous Australians—a bridge based on a real respect rather than a thinly veiled contempt. Our challenge for the future is to cross that bridge and, in so doing, to embrace a new partnership between Indigenous and non-Indigenous Australians—to embrace, as part of that partnership, expanded Link-up and other critical services to help the stolen generations to trace their families if at all possible and to provide dignity to their lives. This new partnership on closing the gap will set concrete targets for the future: within a decade to halve the widening gap in literacy, numeracy and employment outcomes and opportunities for Indigenous Australians, within a decade to halve the appalling gap in infant mortality rates between Indigenous and non-Indigenous children and, within a generation, to close the equally appalling 17-year life gap between Indigenous and non-Indigenous in overall life expectancy. The truth is: a business as usual approach towards Indigenous Australians is not working. Most old approaches are not working. We need a new beginning—a new beginning which contains real measures of policy success or policy failure; a new beginning, a new partnership, on closing the gap with sufficient flexibility not to insist on a one-size-fits-all approach for each of the hundreds of remote and regional Indigenous communities across the country but instead allowing flexible, tailored, local approaches to achieve commonly-agreed national objectives that lie at the core of our proposed new partnership; a new beginning that draws intelligently on the experiences of new policy settings across the nation. However, unless we as a parliament set a destination for the nation, we have no clear point to guide our policy, our programs or our purpose; we have no centralised organising principle. Let us resolve today to begin with the little children—a fitting place to start on this day of apology for the stolen generations. Let us resolve over the next five years to have every Indigenous four-year-old in a remote Aboriginal community enrolled in and attending a proper early childhood education centre or opportunity and engaged in proper preliteracy and prenumeracy programs. Let us resolve to build new educational opportunities for these little ones, year by year, step by step, following the completion of their crucial preschool year. Let us resolve to use this systematic approach to build future educational opportunities for Indigenous children to provide proper primary and preventive health care for the same children, to begin the task of rolling back the obscenity that we find today in infant mortality rates in remote Indigenous communities—up to four times higher than in other communities. None of this will be easy. Most of it will be hard—very hard. But none of it is impossible, and all of it is achievable with clear goals, clear thinking, and by placing an absolute premium on respect, cooperation and mutual responsibility as the guiding principles of this new partnership on closing the gap. The mood of the nation is for reconciliation now, between Indigenous and non-Indigenous Australians. The mood of the nation on Indigenous policy and politics is now very simple. The nation is calling on us, the politicians, to move beyond our infantile bickering, our point-scoring and our mindlessly partisan politics and to elevate this one core area of national responsibility to a rare position beyond the partisan divide. Surely this is the unfulfilled spirit of the 1967 referendum. Surely, at least from this day forward, we should give it a go. Let me take this one step further and take what some may see as a piece of political posturing and make a practical proposal to the opposition on this day, the first full sitting day of the new parliament. I said before the election that the nation needed a kind of war cabinet on parts of Indigenous policy, because the challenges are too great and the consequences are too great to allow it all to become a political football, as it has been so often in the past. I therefore propose a joint policy commission, to be led by the Leader of the Opposition and me, with a mandate to develop and implement—to begin with—an effective housing strategy for remote communities over the next five years. It will be consistent with the government’s policy framework, a new partnership for closing the gap. If this commission operates well, I then propose that it work on the further task of constitutional recognition of the first Australians, consistent with the longstanding platform commitments of my party and the pre-election position of the opposition. This would probably be desirable in any event because, unless such a proposition were absolutely bipartisan, it would fail at a referendum. As I have said before, the time has come for new approaches to enduring problems. Working constructively together on such defined projects would, I believe, meet with the support of the nation. It is time for fresh ideas to fashion the nation’s future. Mr Speaker, today the parliament has come together to right a great wrong. We have come together to deal with the past so that we might fully embrace the future. We have had sufficient audacity of faith to advance a pathway to that future, with arms extended rather than with fists still clenched. So let us seize the day. Let it not become a moment of mere sentimental reflection. Let us take it with both hands and allow this day, this day of national reconciliation, to become one of those rare moments in which we might just be able to transform the way in which the nation thinks about itself, whereby the injustice administered to the stolen generations in the name of these, our parliaments, causes all of us to reappraise, at the deepest level of our beliefs, the real possibility of reconciliation writ large: reconciliation across all Indigenous Australia; reconciliation across the entire history of the often bloody encounter between those who emerged from the Dreamtime a thousand generations ago and those who, like me, came across the seas only yesterday; reconciliation which opens up whole new possibilities for the future. It is for the nation to bring the first two centuries of our settled history to a close, as we begin a new chapter. We embrace with pride, admiration and awe these great and ancient cultures we are truly blessed to have among us—cultures that provide a unique, uninterrupted human thread linking our Australian continent to the most ancient prehistory of our planet. Let us turn this page together: Indigenous and non-Indigenous Australians, government and opposition, Commonwealth and state, and write this new chapter in our nation’s story together. First Australians, First Fleeters, and those who first took the oath of allegiance just a few weeks ago. Let’s grasp this opportunity to craft a new future for this great land: Australia. I commend the motion to the House’. For more information, ABC News has dedicated this site to it. For some reactions to the wording from the National Aboriginal Alliance, see here. Also, ABC News Online will stream Kevin Rudd’s apology from 8:55am AEDT on Wednesday. The apology will also be broadcast on ABC TV and ABC Local Radio. I have posted more on this issue here.